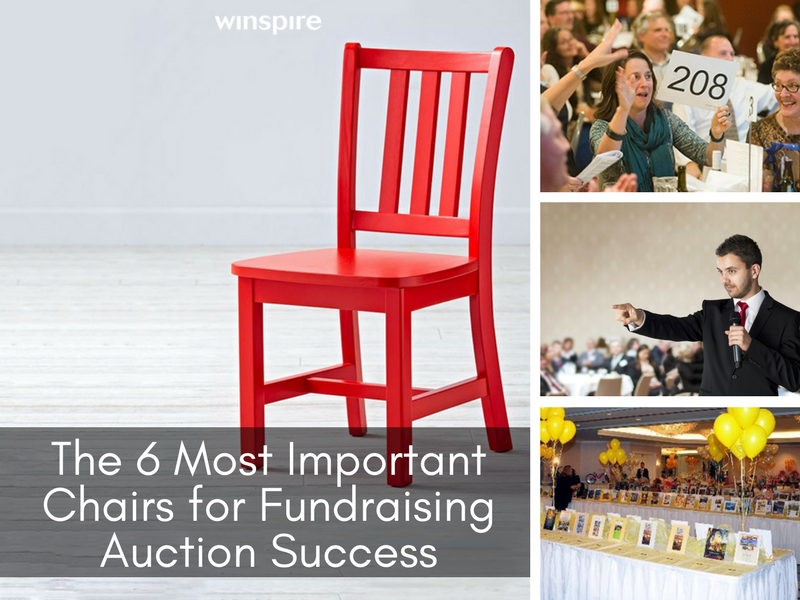 When it comes to hosting a successful fundraising auction, few can do it alone. You'll need several passionate, organized committee chairs with a laser-sharp focus on specific aspects of your event. What are the most essential event chair roles and responsibilities? And how can you find the right person for each job? In today's post, see if you can guess the 6 most important Event Chair roles and responsibilities. The amount of work that goes into pulling off a fundraising event, is hard to describe if you've never been part of one. Auction planning is extremely complex. You want to seize every revenue opportunity while sidestepping potential pitfalls - and doing so requires plenty of both expertise and effort. At the top of the leadership chain is the overall auction chair (or co-chairs). This is the main point person on all things auction. As a Winspire News reader, this could very well be you! If so, you're the one who maintains the vision for the event and puts together the night's timeline, or agenda. You're also in charge of assembling a cohesive auction committee that covers all your bases and maximizes chances of success. You might also have enough manpower to fill other important roles, such as promotions and marketing, volunteer management and more. If so, you're in great shape! These are simply the committees we have found most essential to lucrative events. 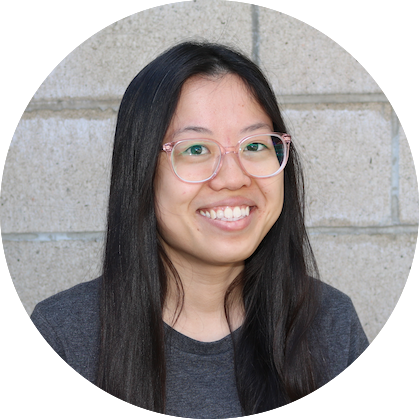 Here's more on the responsibilties of each chair, and secrets to their success. Both Live and Silent Auction Chairs will need to oversee procurement, but the live auction is reserved for your most premium items. This is the fundraising highlight of the night, and we typically recommend offering 7 to 12 big-ticket items in the live auction, depending on your event and audience. Here are a few characteristics to look for in your live auction chair. Ready, willing and able to ask. 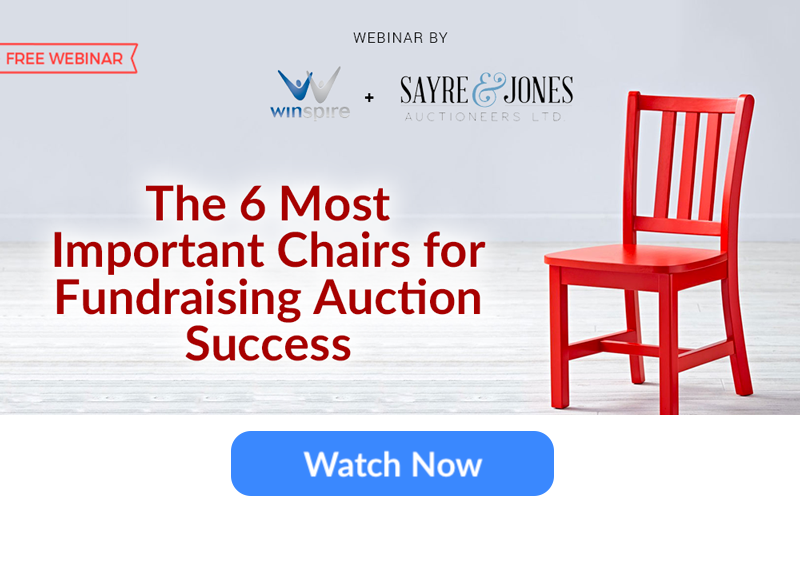 "One of the major problems Live Auction Chairs run into is having committee members that are afraid to ask for the right type of donations," asserts benefit auctioneer Keith Jones from Sayre & Jones Auctioneers. "The Chair must lead by example and be willing, able and aggressive when asking for donations." Organized. This Chair should be someone who has great organization skills to keep track of potential donors, solicitations and responses. Well-connected. The better connected your Chair, the better chance you have at securing successful charity auction items. They must utilize all of their contacts and board members to help solicit these items. Knows the crowd. You need the right bait for your audience, so the Chair should be familiar with the demographics of your audience. Where do your major donors like to travel? What are their interests and hobbies? What's the spending capacity of your top tier spenders? Creative. Putting out the same items year after year is a recipe for flatlining revenue. The Chair and committee members will need to think outside the box to put together the biggest and best packages for the live auction. Also smart: Ask your benefit auctioneer if they'd be willing to offer their contacts to help with procurement. 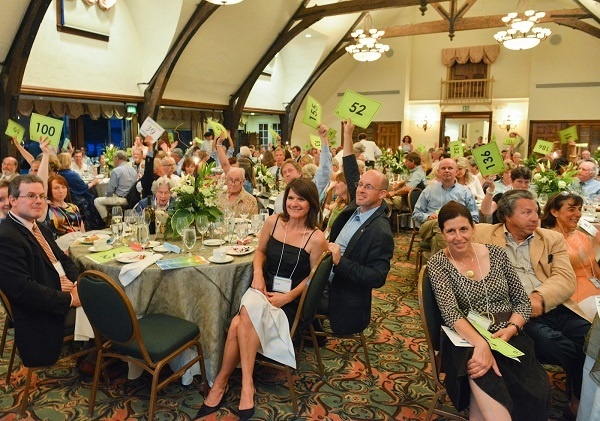 These folks are not only well-connected with the local fundraising community, they know exactly what kinds of items fetch top dollars in live auctions. If you're procuring items for two auctions, it's helpful to split up the roles into two Chairs and committees. Your silent auction chair will have similar responsibilities as above - the main difference here is volume. 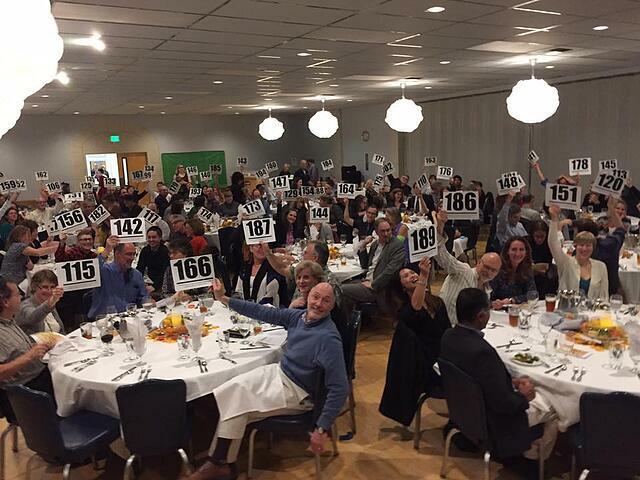 We typically recommend offering an item for every 1 to 1.5 couples at your auction; that means for an audience of 300 guests, you might have anywhere from 75 to 150 items. That's a lot more than the live auction! Here are a few characteristics to look for in your silent auction chair. Patient and extremely well organized. This Chair is in charge of setting up and managing the auction item delivery station at the event. Available. As mentioned, procuring enough donations to fill a silent auction takes a lot of time. Willing to solicit donations. Silent auction donations will be more straightforward and of lower value than your most premium live auction items. But you still need someone who is willing to go out and ask for what you need. If they don’t ask for it, they won’t get it. Good at delegating. Since donations are of lower value, more supporters can assist with procuring and donating silent auction items. The Chair may delegate certain categories of items (i.e. home goods, travel items, electronics and so forth) to different committee members. Creative. The Chair must know how to bundle multiple items to create unique, buzzworthy silent auction baskets. Cooperative. This person will need to work side-by-side with the Live Auction Chair to collaborate on items. Because items can end up in either auction, the two Chairs should be able to trust one another and communicate effectively. They should be motivated to further the cause - not outperform one another. Successful Fund-a-Needs, also known as cash appeals or paddle raises, are all about presentation. How will you or your auctioneer make the appeal? You'll want to assign someone to specifically oversee the Fund-a-Need portion of the night. Here are a few responsibilities your Fund-a-Need chair will cover. Facilitate the introductory speech or video. Every successful cash appeal requires an emotional trigger. Utilize videos, testimonials and speeches that tug at the heartstrings (without being killjoys). Good speakers include school principals, parish priests, the Executive Director, and people who have been directly helped by your organization. Choose objectively. The Chair must look at potential speakers with an ice-cold eye. Are their stories truly inspirational, or are they boring? In a paddle raise, momentum is everything. Do all you can to ensure the Chair has freedom to choose and is not obligated to use a certain speaker. Recruit a few bid spotters. Aim to have three volunteers ready to record bid numbers as the auctioneer calls them out. This virtually eliminates the risk of recording the wrong bid card numbers and ensures those who pledged to give, do give. The auctioneer may be the one delivering the appeal, but she or he can't do so effectively without impactful emotional triggers cued up beforehand - and the proper logistics in place during and after the appeal. What about the sponsorship, registration and decoration chairs?? Your turn - Got a question about auction committees? Did we miss any important chairs? Let us know in the comments below!